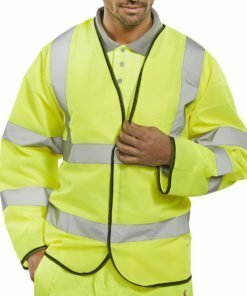 Our hi vis jerkins are part of our range of high visibility clothing. They’re essential for helping you to stay highly visible in high traffic or hazardous working environments. 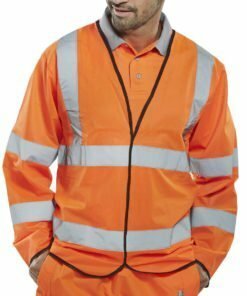 Hi Vis jerkins are very similar to hivis waistcoats and vests. The main difference being that jerkins have long sleeves as opposed to having none (sleeveless). This makes them a great alternative to wear in the winter months as they’ll help to keep you warm and stay highly visible in the workplace at the same time. Therefore a must have addition to your winter hi vis wardrobe! Our jerkins are available in yellow or orange and a range of sizes. They conform to EN ISO 20471 Class 3 high visibility. Made from 100% polyester. Featuring Reflective material and velcro fastening. Need some help with your order? Give us a call on 0330 0885 675 and we’ll do our best to assist.